A mutation in the PALB2 gene raises the risk for developing certain types of cancer. For women with a PALB2 mutation, the lifetime risk of breast cancer is ~35-40% compared to 12% in the general population. There may also be other increased cancer risks, including pancreatic and male breast cancer. 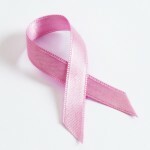 To determine the best treatment for women with a PALB2 mutation and breast cancer. Through a better understanding, we can personalize breast cancer treatment to increase survival, and determine how to best manage at risk family members to detect cancer early or prevent it. If you would like to participate in this PALB2 effort, please enroll in the Inherited Cancer Registry (ICARE) Initiative now by clicking the link below. Once enrolled, you will be asked to complete a baseline questionnaire and a study team member will inform you of any additional information that may be needed for this focused effort. Please note if you are already an ICARE participant with a PALB2 mutation, we have already collected much of the information needed from you to contribute to this focused effort. We will inform you of any additional information that may be needed for study purposes. WHY IS IT IMPORTANT TO LEARN MORE ABOUT THE BREAST CANCERS THAT OCCUR IN WOMEN WITH A PALB2 MUTATION? We are a group of scientists who study hereditary breast cancer. Our research focuses on the prevention and treatment of breast cancer in women with a genetic mutation. We have studied the treatment of breast cancer in women with a BRCA1 or BRCA2 mutation and how treatment can be personalized for these women. We now want to understand if we should also personalize treatment for women with a PALB2 mutation who develop breast cancer. 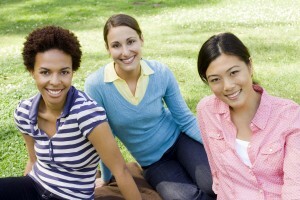 This study is a collaboration between Women’s College Hospital in Toronto, Canada (Drs. Kelly Metcalfe and Steven Narod) and Vanderbilt-Ingram Cancer Center in Nashville, Tennessee (Dr. Tuya Pal). If you are interested in learning more about PALB2, please click here to read articles previously featured in the ICARE newsletter. please contact our study team.